I received a whole bunch of material for Lamentations of the Flame Princess recently, including the new Rules & Magic hardcover book. And its presentation of the Specialist class makes me think it might be able to solve two separate problems. So that's problem number one: making thieves competent at low level while allowing them to grow. I may tweak the skill list a bit, but overall I think I prefer the class to the thief as written. The second problem is demihuman level limits. Generally demihumans with no limits are too good to pass up. There's no reason to play a vanilla human in a game where elves are just plain better. So that's where Specialist skills come in: they're a way to make demihumans continue to advance without letting them be as good as fighters or magic-users as a high level human. So when an elf caps out in level, they can take some amount of XP (say 100K or so) and use it to get points in Specialist skills. I think this is a compromise that allows demihumans to continue to grow without throwing the whole game out of whack. Dungeon Crawl #3 is currently sitting at #26 in the RPGNow top 100. We can do better than that, so all weekend, you can get Dungeon Crawl #3 at the discount price of $3.95. Get the Discount! Expires Sunday, August 25, so act soon! At the dungeon level, there are several important timers. The length which a torch will burn (in both Holmes and the AD&D PHB this is listed as 6 turns, but it is not found in OD&D) creates a strict limitation for characters who do not have a Continual Light spell available; you can only be down in the dungeon as long as you have torches. Wandering monsters force exploration along if they are high-risk, low-reward encounters. These are balanced with the time it takes to explore rooms, search for secret doors, and so on. 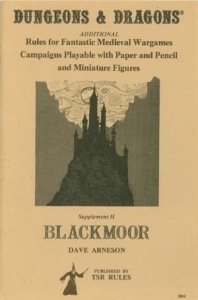 In the mode of Blackmoor as explored in The First Fantasy Campaign or the semi-competitive Greyhawk, it makes sense that Gygax would talk about a meaningful campaign - having multiple players with their own goals and different playing time - needing a strict timeline. But often campaigns are party-oriented and time becomes less of an issue. I think that this is unfortunate, because a number of mechanisms - such as the design time for magic items, or the simple expedient of sleeping after the fighter's taken a couple hits and the magic-user's out of spells - should have more of a meaningful impact on the game. There are a number of ways that I think this can still be achieved. One is the living dungeon. Any set of intelligent creatures who know that a group of adventurers are invading their living space should react by finding the most defensible spots and laying traps en route to them, then holing up where possible. Even a single escapee from a group of enemies should cause headaches to a party that gives them sufficient time to reinforce and defend themselves. Similar is the rival party, another group that roams the dungeon; if PCs clear a difficult area and then leave to rest, imagine their surprise when the easy pickings beyond have all been looted. One possible variation on the rival party would be a 9th level fighter who is clearing the area where the dungeon is in an attempt to claim it as a barony, and starts a full-on military expedition against the dungeon's denizens. But what I really like are timers in the game world. One that I think was really brilliant was in the LotFP module Better Than Any Man: eight days after the beginning of the adventure, the sandbox will be destroyed by an invading army. It's quite explicit that there is a hard time limit, and it's not practical for the PCs to forestall the invasion or the destruction of the adventure locales. For me, this is really a great type of timer, because it creates the reality of the outside world while limiting access to the dungeon environment. It would not work for a proper megadungeon, but I think the idea that a certain locale has to be explored by a certain time or it will disappear is interesting. For instance, what if an underground reservoir was breached and the dungeon was slowly being flooded? It's most interesting of course if the PCs wind up being the cause of the flood. Or some structural flaw has been revealed by the PCs' exploration and a level is now slowly becoming unstable and subject to cave-ins that could also lead to really interesting problems when the PCs are present. You could even have some magical force slowly eating away at the dungeon, or due to cause some local disaster when the stars are right. Seasons could also be a way to make time matter. Underground areas tend to reflect the world above, so in a temperate area a dungeon in the winter would be so cold as to be uninhabitable by normal humans. In summer, a cave in a warmer area can become so hot as to be hostile to human life. In a true megadungeon there could well be active delving seasons in the spring and fall. The key to all of this is that it puts time pressure on a sandbox situation. That's not always desirable, and I don't think it should be contrived, but I do think it's an interesting way of adding time pressures at a larger scale. Some of these also apply to hexcrawls; I know that plate armor is lighter than its reputation, but it's still unbearably hot in the hot sun. Mail likewise can be quite comfortable, until it bakes for a while on a summer day and becomes scalding hot. So, to open it for comments: what have you used to make time count for PCs? It's Wednesday again. 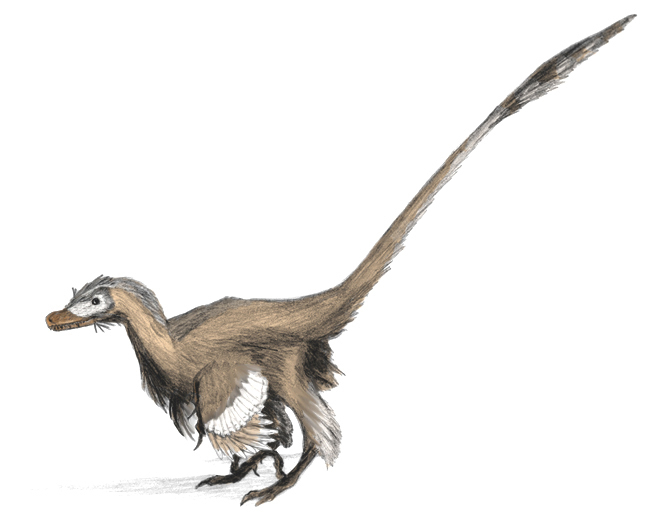 This is an ancient cryptid, with roots going back as long as any monster, in legend living in Central Asia and reflected in Greek, Indian and Chinese stories. 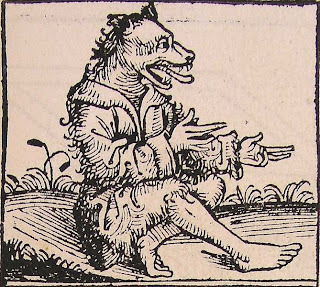 Cynocephali are primitive, dog-headed relatives of humans. They are not considered humanoids or lycanthropes, and have canine heads but completely human bodies, including their hands and feet. These dog-headed men live in tribes like packs, and speak their own language which includes a series of barks and growls, and is difficult for humans to speak. They are inherently chaotic and live in a winner-take-all society. The leader of a cynocephali tribe has 3 HD and has 1d4 2 HD bodyguards. Generally, cynocephali will fight with weapons but prefer combat that is close up enough to bare their teeth. When attacking with their powerful bites, these dog-men attack at +2 due to their savage fury. I've started working on an idea for a sandbox and multi-level dungeon. The inspiration is from old Roman catacombs (there are some pretty amazing maps out there) beneath an old abandoned Roman city near a backwater modern village. I'm thinking that Glanum in the South of France as an inspiration for place, and possibly using the Albigensian Crusade as a setting to have some high-level drama with a local component (heresy and all that). Which is all well and good. Where I'm a bit torn is whether this module should be set in the actual Languedoc or in a fictional analog. James Raggi stuck his Better Than Any Man in historical Germany during the Thirty Years' War, and I think it works fairly well as a module. But there is an automatic feeling from "we're in historical Europe" in games I've run there that I'm not sure I want to evoke in this particular sandbox (which I am hoping to eventually get into shape as a proper module). Some excellent fantasy literature has managed to be set directly on earth. Adept's Gambit is a novella set during the Seleucid rule of Tyre, rather than in the traditional Lankhmar of Fafhrd and the Mouser. C.L. Moore's Jirel of Joiry and Clark Ashton Smith's Averoigne stories take place in medieval France just as my sandbox, complete with fictitious towns and provinces. It has certain advantages, as I discussed in the "Dark Age Dungeons" article in the second issue of Dungeon Crawl. You get the richness of medieval Christianity, although that is sometimes a step too far for some people. There's a whole world of culture that you can draw from, although it also restricts you from being able to freely make up as much. What I'm wondering is whether a thin veneer of pseudo-history might better serve the overarching goal of a flavorful setting while avoiding getting bogged down in details about reality. For instance, because it's inspired by an area that spoke Occitan (sometimes known by the name of one of its dialects, Provençal), French names would be wildly historically wrong in a real-world setting, but in a fantasy analog of France, I can use French names which would give it a much more recognizable flavor. 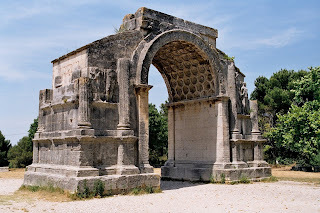 Simply for my own running, being able to make up churches (and a conflict similar to the Albigensian Crusade but different) would be a major bonus. Too much Christianity is a bit off to me, and the devil-worshiping goat-men could also be a race of demon-worshippers. It lets us detach a bit and insert a good amount of extra "fantasy" into this process. I also think this is easier to fit into another fantasy setting. Languedoc is specific, whereas my pseudo-France will be much more ready to slip into an already established world. The labels easier to change, the references less baked in by nature. 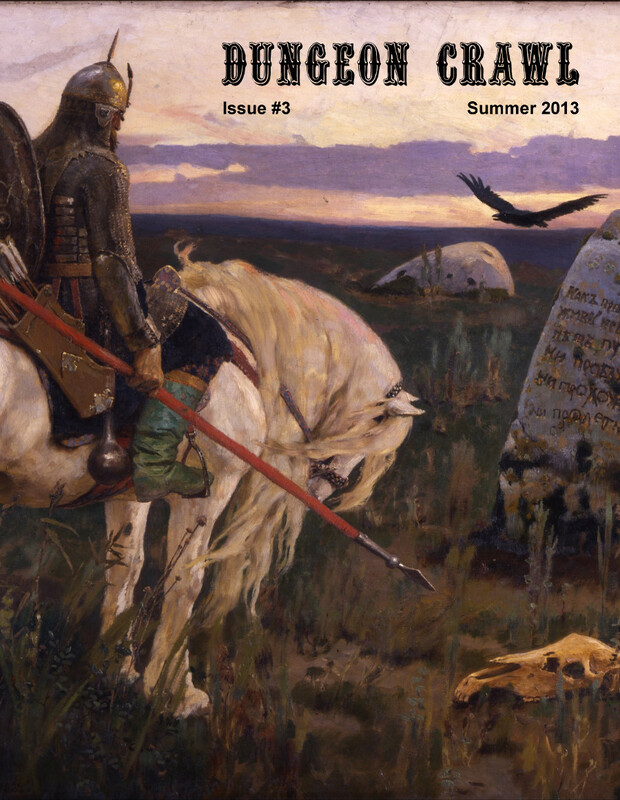 I am very proud to announce that the third issue of Dungeon Crawl is now available in both print and PDF! Print copies are available from Lulu.com and PDF are available from RPGNow. Buying information for all issues. 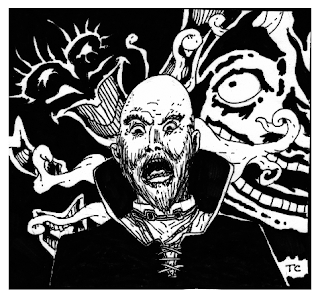 Dungeon Crawl #3 is about to be released! Here's what the issue will feature. - The Dungeons of Xenopus, Level 2 by Wayne Rossi. 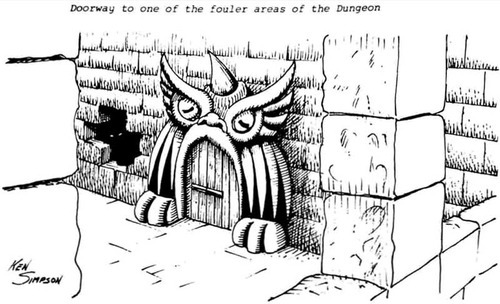 This old-school dungeon is a follow-up to the famous sample dungeon presented in the 1977 Basic Rulebook edited by J. Eric Holmes. Featuring cartography by Dyson Logos! A desert sandbox in a region corrupted by magical experimentation. Charts to liven up your gas-based traps. Charts to give variety and color to your empty dungeon chambers. Featuring the Bear Coat, Hand of Glory and Diviner's Sage. Twenty new Holmes-inspired magic items for your low-level campaigns. Presenting an old-school encounter with a knight and his retinue. An article for players based on observations from Byzantine history. Two types of beastmen and a crocodilian horror to people your dungeons and hexcrawls. A new class for Swords & Wizardry or any old-school fantasy RPG. Having recently had the pleasure of playing in Allan Grohe's Castle Greyhawk, one of the things that struck me was that the Greyhawk dungeons are made not out of grey bricks (maybe that's a bit on the nose?) but actually out of black basalt. And that sort of surprised me, because I typically think of dungeons as being, well, places with lots of big sturdy grey stone bricks. 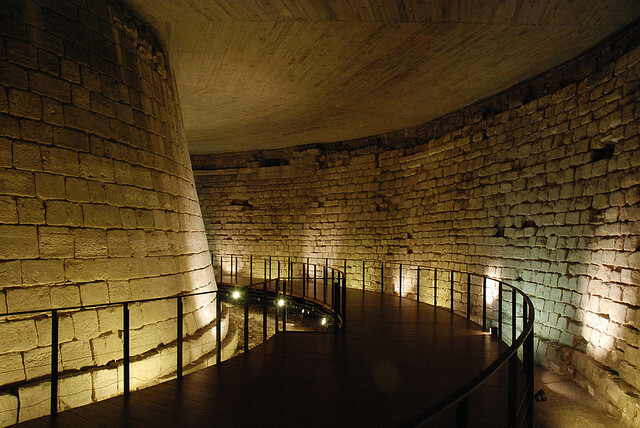 The dungeons beneath the Louvre are, as you can see, pale - almost white. There are other things we can think of as well; dungeons carved from the local stone and taking on its colors, dungeons built up with fired-clay bricks, or even plaster-coated walls. What is on the walls, floors and ceilings can really switch up the look and feel of a dungeon level. Black basalt makes Greyhawk feel forbidding and alien, whereas the stark bricks of the Louvre are harsh and unrelenting. Brown, red and grey are all colors that can vary up between warmth, human design, and intensely difficult areas. More exotic stones are also possible; other colors, or striated marble or sandstone, or rocks containing bisected quartz, for instance. And other forms of architecture are also possible, such as the cyclopean style where unworked rocks are loosely fit together. 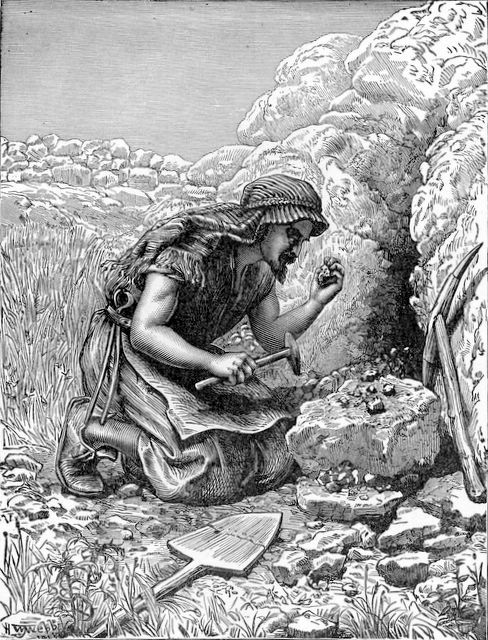 Or rooms could be accidental, effectively enormous geodes that were struck when digging. Of course, stone's not the only thing that the walls might be made of. 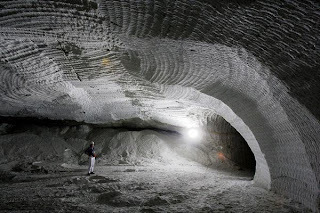 For instance, a dungeon in an old salt mine could have walls that are literally covered with salt. An abandoned coal mine would pose obvious problems for people who are using torches to light their way, especially if it's got a ready source of firedamp. Salt mines are a good place for some truly monumental caverns as well. These decisions don't have to be made for an entire dungeon. 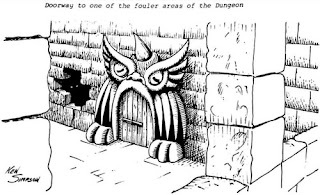 Different building materials can be a tip-off of different construction; perhaps there are rough-hewn stone walls built by (naturally occurring) kobolds that are clearly differentiated from ancient brick walls, and in the deeper levels you get to strange cyclopean architecture and more alien materials. It's a good way to differentiate levels and sub-levels, if you want to make the differentiation. There's also the question of humidity. Being underground, dungeons should be humid. Their temperature is relative to the air temperature outside, but it's easy for an underground hole to have a humidity so high that they could develop condensation on the walls, ceiling or floor. (This is of course a great case for a red herring.) This would be worse in an area with dirt floors, and better with solid floors. In colder areas dungeons will always be cold; in hot areas they will tend to stay hot. We spend a lot of time in the dungeon; I think a bit of variety can go a long way to mark your dungeon as different from others. Looking through the OD&D spell list, there are some obvious candidates for spells that have been cast weeks, months or years in advance by some wizard, and the PCs are only coming into contact with them now. These are some ideas for spell uses that have been in effect when stocking a dungeon. Invisibility. This one is pretty obvious. Any person or creature who doesn't attack or touch someone, and any object which is not touched, can be made invisible right up until explorers come through the dungeon. Creatures can hide much better when invisible. But really invisible stuff offers a lot of potential on its own. Magic items and treasure can be hidden in plain sight. An obstacle or trap could be invisible right up until the PCs hit it. This can make caltrops, floor spikes or bear traps quite nasty. A visible gem coated in invisible contact poison - et cetera. Continual Light. Sometimes just to freak PCs out. For instance, if you want to give them a sign that a room up ahead is really dangerous, maybe have a copper piece or half of a charred staff with Continual Light cast on it as a sign that previous parties have tried and failed. It would also be interesting to have an NPC or monster that had Continual Light cast at its eyes as an offensive spell and is now blind, as was detailed out in Moldvay. Or you could use several applications for an underground greenhouse/garden, perhaps with a human (or inhuman) garden-keeper. Wizard Lock. This one is fairly obvious, and varies depending on exactly how loose you are in terms of what can be held by a Wizard Lock spell. Good for hiding treasure behind a wizard locked safe or chest. Polymorph Others. Which is what started this whole train of thought. This is a great way to hide a friendly NPC - for instance, someone could have really been turned into a frog (or cat, or monkey) or even an apparent "monster" type - and it would be permanent. The idea of a fighter turned into a monkey by an evil wizard and hanging about a dungeon trying to get a magic-user to cast Dispel Magic on him is just too funny to me. Growth of Plants. Combine this with the garden or greenhouse idea in Continual Light for a really nasty vegetation surprise deep down in the dungeon. Hallucinatory Terrain. This has so much evil potential. For instance, consider a 40'x20' room with Hallucinatory Terrain cast on it to appear like it's a 20'x20' room. Then the PCs touch the wall or door, and all of a sudden the foes on the other side of the false wall appear. It's a great illusion spell because unlike Phantasmal Forces it doesn't stop when you stop concentrating. Conjure Elemental. Sure, the magic-user has to concentrate to control the elemental. But what if he just wants to leave it in a room otherwise secured against its escape? Maybe the monsters have it as a "In case of PC threat, break glass" room in a dungeon level. Wall of Stone. Build a maze or just a wall that you and no one else can get through. Wall of Iron. Like Wall of Stone, but made of iron. Animate Dead. A bit on the nose. Stone to Flesh. Instant statues without any need to pay a pesky sculptor. Obviously a "pet" basilisk or cockatrice, or a friendly medusa, could do this as well. Reincarnation. Just an interesting background for an NPC, particularly in OD&D where you roll on the alignment table for it. Could be particularly fun if you run it as one of several extreme mismatches from the Neutral column - for instance a pixie that was previously a minotaur, or dwarf who's a reincarnated dragon - or vice versa. A French cryptid for the second Wednesday in August. 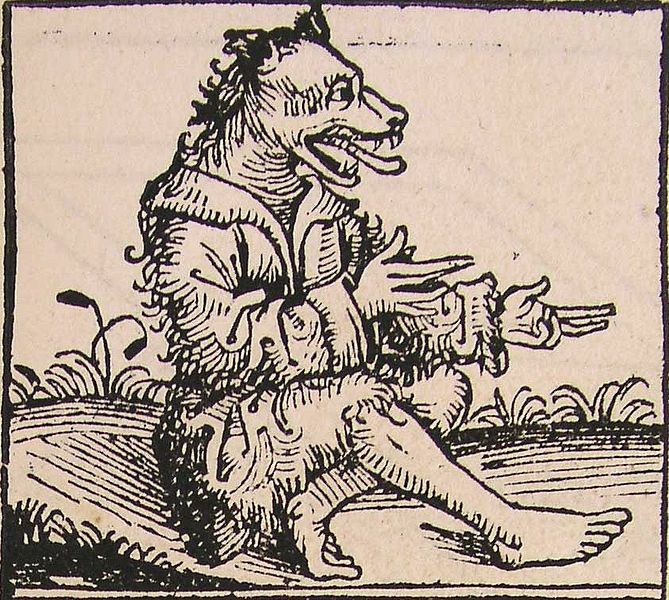 The peluda is a creature about the size of a full-grown bull, with the head of a dragon. Its underbelly contains a mass of what initially appears to be hairs, but are actually quills that are hanging limp. It can straighten and fire these quills (up to 10 feet) at a victim, who must save or be slain by the powerful venom they contain. The peluda can also spray a stream of superheated water at up to 4 characters for 3d6 damage (save for half). Peludas are vicious creatures that roam the countryside and raids stables. It is actively hostile to human life and will particularly target young and innocent humans. They do not speak any human languages, and will always react with hostility to humans. When killed, the salvageable venom from a peluda's quills will fetch 1000 GP from assassins, or less reputable wizards and alchemists. As I was going through Appendix N over the weekend, some of the lacunae present in Gygax's list of fantasy (and science fiction) works are almost as interesting as the things he does actually include. The author Gary just plain missed was Clark Ashton Smith, the one member of the trio of great early American fantasists to survive the '30s (the others being H.P. Lovecraft and Robert E. Howard). CAS's stories are probably those of most benefit to those stuck in the rut of "vanilla" fantasy, as they are dense with both flavor and a semi-Theosophical bent that will mash things up straightaway. His stories are available online at Eldritch Dark. For those wanting print editions, the University of Nebraska Press's Bison Frontiers of Imagination series reprinted the old Arkham House collections Out of Space and Time and Lost Worlds which contain the meat of this work. A major pioneer of heroic fantasy was left out. E.R. Eddison's The Worm Ouroboros (full text at Wikisource) had been reprinted by Ballantine a few years before their famous Adult Fantasy line set the standard for fantasy literature. 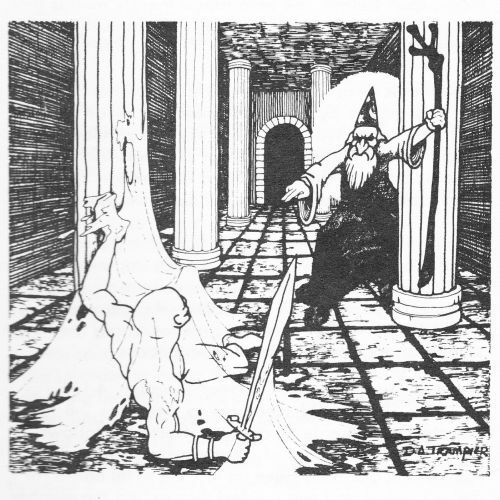 Eddison's work was missed when first written but quickly gained popularity after The Lord of the Rings and was quite relevant in the period when AD&D was published. Gygax included several women in his list but missed Ursula K. LeGuin, whose work is consciously different from much of contemporary fantasy. Her Earthsea cycle (A Wizard of Earthsea, The Tombs of Atuan, The Farthest Shore, Tehanu) is exemplary, particularly because Ged often has to use the kind of lateral thinking that best marks old-school RPG play. It's also a good source for dragons (in A Wizard of Earthsea) and literary tombs similar to D&D dungeons (in The Tombs of Atuan). And if you like island adventure it's a great source of inspiration on that front. The appendix is also focused, to a fault, on swords & sorcery and fantasy literature. Except for Three Hearts and Three Lions it never touches on chivalric romances, for all of D&D's medieval pretensions. There is no Arthurian literature at all, which seems strange to me because I grew up thinking of Arthur as a very central figure in fantastic precursors. 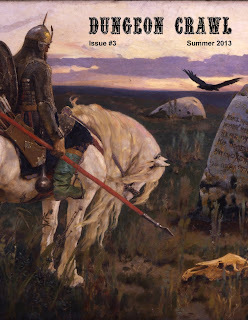 The Once and Future King would have been relevant, as would Malory's Le Morte d'Arthur (Penguin: Volume 1, Volume 2; free Kindle ebook: Volume 1, Volume 2; Project Gutenberg: Volume 1, Volume 2). Arthur of course features in Deities & Demigods and especially in OD&D there is a strong argument for a bit of Arthurian flavor in knightly jousts. Finally, as has come up repeatedly in the discussion about Arneson, you can't really say that D&D was not inspired by John Norman's Gor series. This was a sword & planet adventure series that gets into some controversy over its idea of sexual slavery, but was a big influence on how Arneson ran Blackmoor. So if you want some of that flavor (it apparently starts out a good deal better than the later volumes), start with Tarnsman of Gor and go as far as you're interested in going. 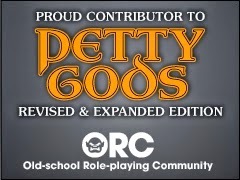 There are other things we could add to the list all day, but I'm interested in talking about other works that were generally available in the late 1970s, had a fantasy or sci-fi flavor, and especially the ones that had an influence on early D&D players or a clear potential for in-game influence. Yesterday I posted some links to buy Appendix N books from Amazon. A lot of these books are out of print or obscure. It's also worth going through the ones that are available in free ebooks. My preferred source of free ebooks has always been Project Gutenberg, which has been doing this work for many years now. I'll also include links where possible to free Kindle ebooks for those who use it as an e-reader. Note that some authors' works are only partially in the public domain. Pellucidar cuts off after 2 volumes, while the first 5 Barsoom tales are available. Only Merritt's earliest work is available publicly, but The Moon Pool is his most relevant work to D&D so it's an obvious read. The copyright status of the Howard and Lovecraft work is ... complicated, but the Gutenberg copies mean you can read a lot of the great Conan stories for free. A few authors have peripheral early stories in the public domain that I haven't noted here. Howard, Robert E. - The Hour of the Dragon, Gods of the North, Beyond the Black River, Red Nails (Kindle), A Witch Shall Be Born, The Hyborian Age, The People of the Black Circle, Queen of the Black Coast, The Devil in Iron, Shadows in Zamboula, Shadows in the Moonlight, Jewels of Gwalhur. Lovecraft, H.P. - Not on Project Gutenberg, but his works are available online here. I haven't mentioned much about Dungeon Crawl's upcoming third issue lately, mostly because some of the material has been slow in getting to me. But it's nearly together, there are just a few pieces of art and one piece of text that I'm still waiting on, which means that the issue will be together and ready soon. Anyway, this is a piece of art by Darren Tunseth that will be making an appearance. My favorite part of this whole zine business is that some great artists put out pictures of things that previously were just in my head. Other great stuff to look forward to is a module with cartography by Dyson Logos, and a new article by Zach Howard of Zenopus Archives. I'll share a release date once I have it. Expect it to not be too far distant. In First Fantasy Campaign, Dave Arneson describes in a brief thumbnail the original magic system he used in what would become Dungeons & Dragons. In Blackmoor, magic followed the "Formula" pattern for most magic. The reason behind limiting the number of spells that a Magic User could take down into the Dungeon was simply that many of the ingredients had to be prepared ahead of time, and of course, once used were then powerless. Special adventures could then be organized by the parties to gain some special ingredients that could only be found in some dangerous place. Progression reflected the increasing ability of the Magic User to mix spells of greater and greater complexity. Study and practice were the most important factors involved. A Magic User did not progress unless he used Spells, either in the Dungeon or in practice (there was no difference) sessions. Since there was always the chance of failure in spells (unless they were practiced) and materials for some spells were limited (determined simply by a die roll) the Magic User did not just go around practicing all the time. The Magic User could practice low level spells all the time, cheaply and safely, but his Constitution determined how often he could practice without rest. Thus, the adventurers might want a Magic User to come with them only to find him lying exhausted. So to progress to a new level, one first learned the spells, and then got to use that spell. There was no automatic progression, rather it was a slow step by step, spell by spell progression. It strikes me that this is not entirely gone from OD&D - magic-users preparing scrolls (only at wizard level) for 100 GP/level at a rate of 1 week/level seems to take a page from Arneson's non-Vancian style of preparation. Holmes took it even closer by allowing scroll creation at first level, following the same rules as OD&D. By the book, you could actually get pretty close to Arneson's spell system right there. Taking a step back, the Vancian system is one that has survived not so much out of sentiment but because it is dead simple to use in a game. Like hit points and armor class, the specific rationale is second to the fact that the system is very effective in game. It limits the magic-user in a readily defined fashion and keeps the bookkeeping manageable. For many players, though, Vancian casting is a weird limitation. It requires tactical choice, which is good, but very little flexibility. Once out of spells, the MU is useless. A lot of alternative systems such as spell points try to alleviate this by making the MU super-flexible. But with this advantage the game tilts entirely in favor of the spellcasters, who already get powerful at high levels with Vancian casting. I like Arneson's concept because it invokes a bit more resource management than traditional Vanciancasting. A spell is not just an investment of a spell slot, but is a permanent resource bought with money and/or effort, and available to the magic-user as long as he or she is alive. The decision to use or not use a prepared spell is one that has lasting consequences and cannot be idly cast just to use up a spell for the day. To use this I think the OD&D pricing is a good start. The prices are about right where an MU will not suddenly become super-powerful, and the referee might give a free spell or two at the game's start to speed things along. Also, an alternative method of preparing spells from ingredients that the MU has to search for at low levels might be a natural source of adventure fodder. The spell components for AD&D are one possibility, as are randomly determined components a la Arneson. In practice, then: spells would cost 100 GP/level, but take only 1 day/level to prepare. The trade-off is that more spells can be prepared than could be cast. Magic-users would have alternative but difficult methods of finding ingredients. A spell, once cast, is used up. Beginning characters would have 2 spells already prepared. Characters can only cast spells of levels they would be able to cast per the OD&D Magic-User chart (i.e. level 2 at 3rd, etc). I'm also thinking that after some time a spell could start to go unstable. Has anybody used this kind of system? Any thoughts on potential side effects? Maybe some differentiation in the pricing? 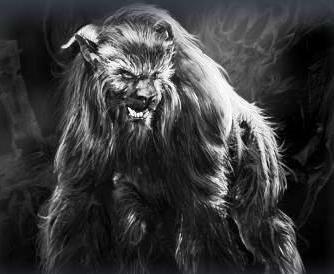 It's Wednesday, so here's a fresh cryptozoological monster written up for Swords & Wizardry. 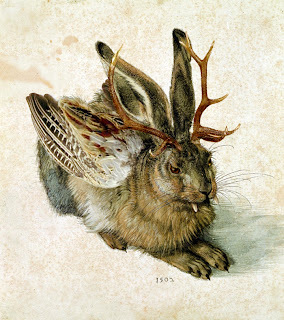 A wolpertinger (pronounced "VOHL-per-ting-er," with a hard g) is a chimeric hybrid creature. Smaller wolpertingers have the body of a squirrel, while larger ones have that of a rabbit. All such creatures have long jagged fangs, antlers, and bird-like wings. They live in dense, temperate forests and hunt alone or in small groups. In combat a wolpertinger prefers to use its teeth to attack; it will only use the antlers if cornered. They prefer to use their mobility to sneak away and attack prey unprepared. Wolpertingers will mate with ordinary squirrels or rabbits, and the offspring will not show such characteristics until it is mature, at which time it turns viciously on other "normal" animals of its type. They seek out the company of other wolpertingers, though squirrel and rabbit types never mingle. Their antlers seem to determine status. In areas where wolpertingers live, a stuffed and mounted sample is a tremendous prize and will be displayed with pride as a sign of good fortune by inn and tavern owners. Providing such an intact corpse (cannot be killed by any large weapon or spell such as fireball) to a tavern owner who does not already have a wolpertinger mount will win such esteem and gratitude that the hunter will not have to pay for his own drinks for the next year; the tavernkeeper and the regulars will sponsor all the beer he can quaff. Given the above parameters, one in nine dungeon rooms should have some interesting feature that conceals or guards treasure. I had a PC in my pick-up game on Saturday fall into a pit trap triggered by removing a jewelry box from a treasure chest. A Stonehell PC was recently killed by falling rocks triggered by taking silver from an open bowl. It's obvious why treasure isn't lying open; if it were, someone would have taken it by now. In a dungeon, there are really three things that should make getting at a treasure difficult: it can be dangerous, time-consuming, or in a genuinely obscure place. Chests with false bottoms, money sewn into the lining of a robe, jewels at the bottom of a particular empty wine cask - there are dozens of possibilities for valuables to have been hidden. PCs with treasure on their minds will think nothing of laying a room to waste, knocking through floors, ripping apart furniture, searching through trash - anything for a gold piece. Consider the Nobel Prizes that were dissolved in aqua regia to hide them from the Nazis during World War II. This could be a great way to hide gold, or even a magical item, if you have an alchemist who can reconstitute the item afterward. People will go to tremendous lengths to hide wealth. I think in some cases there should be hiding-places that PCs can conceivably discover more information about, rather than sitting around tapping every stone for hollowness. For instance, say a wall has not one but ten hollows, to to deter would-be raiders from stumbling upon a hidden treasure. Perhaps a long-dead body elsewhere in the dungeon has a note among its possessions with nine "X"s and one "O" - that could be pieced together to find the correct hiding spot. In general, I think that this should be a reward system for good exploration. At the same time, other treasures should only be discovered by pure gumption, having been hidden generations earlier by someone or something who never got to go back and find them. Of course uncovering them is time-consuming, and raises the probability of a wandering monster, particularly if you're using a hammer to take out dungeon wall stones. One last type to consider for today is the places that will be instinctively avoided by PCs. For instance, a perfectly good treasure could be at the bottom of a pit trap - even one that had been carried by a previous unlucky delver. Stick a green slime right on top of the treasure, and stick it in a fireproof box, then plan to flame it off. I ran a pickup OD&D game last night and generally had a good bit of fun. I ran the dungeon from Dungeon Crawl #1 and the PCs encountered the Mammon trap I wrote for Green Devil Face #2, which is always a fun encounter. A few thoughts stemming from play. Generally, doors will not open by turning the handle or by a push. Doors must be forced open by strength, a roll of 1 or 2 indicating the door opens, although smaller and lighter characters may be required to roll a 1 to open doors. There can be up to three characters attempting to force open a door, but this will disallow them rapid reaction to anything awaiting them on the other side. Philotomy noted, I think wisely, that this makes the dungeon a bit more of a weird, underworld-ish environment. The problem is, in everything I run lately, players seem to have fantastically bad luck at this roll. Three PCs will sit there for two or three goes each before someone finally gets the door open, having made a ton of racket in so doing. Which makes their lives harder strategically, and I'm fine with that, but the actual act of bashing open doors gets a bit tedious and can slow down play. I'm thinking of a variant rule where you roll a d6, and the number you rolled gives you the number of tries it takes you to open the door, with a 6 indicating that you are totally unsuccessful and need to make further attempts. A 1 or 2 will not give monsters around a general alert and will still require the monsters to roll surprise, while a 3, 4, or 5 will not allow a surprise roll and should draw an extra wandering monster check. This would keep the original rule's spirit in tact while not letting the game get stuck in a loop where the referee says "come on, roll a 1 or 2 already." 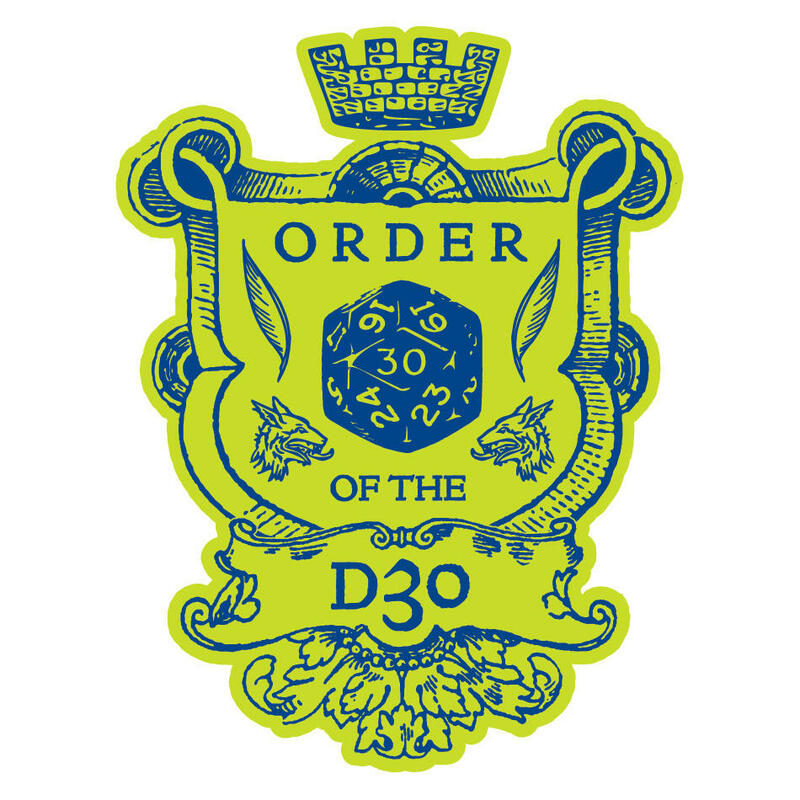 What's funny to me is that the other d6-based rules in OD&D all work fine because they are on my side of the screen (PC or referee's screen, either works). I roll a d6 or two practically every time the players ask me something, and they fail a tremendous number of hearing checks but it's the same if they blow it or nothing's on the other side of the door. So I say "You don't hear anything" an awful lot. The other thing that's good to remember is that when you start putting random dungeon dressing in the game, it's fun what players will think to do with it. There were some empty rooms in the dungeon, and I rolled contents on the Ready Ref Sheets chart like I often do - and found upholstered chairs. The players were seeking assiduously through, so I rolled again and got a result of a knife, which I decided would effectively be a silver dagger for purposes of stabbing things that require silver weapons to hit. For Empire of the Petal Throne fans, there was an encounter with several hlyss. Of course, the PCs outnumbered them and had missile weapons, which in OD&D is a fairly lethal combination, especially considering the one PC hit by a stinger made his saving throw. On a final note, my update to initiative works pretty well. In addition to the d6 roll-off that I traditionally do when running OD&D, I instituted a rule where a weapon 2 classes longer (using Chainmail weapon ranks) gets first strike when closing for melee. It rewarded the one PC who picked a spear, and I liked that. It's a good way to differentiate weapons if you're not using variable damage dice. For folks who don't have Chainmail, the OD&D and Holmes equipment lists both have weapons in order according to weapon rank: Dagger, Hand Axe, Mace, Sword, Battle Axe, Morning Star, Flail, Spear, Pole-Arm, Halberd, Two-Handed Sword, Lance, Pike. OD&D lists ten types of specialists who can be hired by PCs: Alchemist, Armorer, Assassin, Animal Trainer, Engineer, Sage, Seaman, Ship Captain, Smith and Spy. 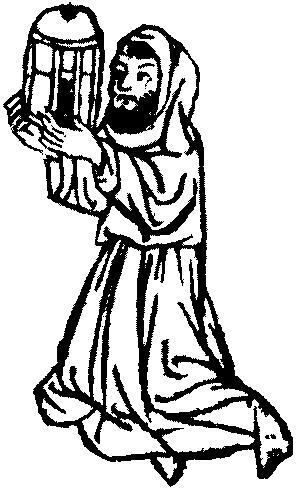 With Greyhawk, a Thief was added as a sort of playable specialist class, with various functions that were useful in dungeoneering. In Blackmoor this was expanded and the assassin class was made playable; per various discussions this was also the intent of the sage rules, which became a set of NPC rules. As was pointed out to me after my previous post on assassins, there is an alchemist written up in the second issue of The Dragon, as a character who produces poisons, acids and potions. The Dragon alchemist class has a number of fascinating new potions, and I recommend tracking down this class (which unfortunately isn't in the Best of the Dragon #1) mostly for its interesting new potions, such as flash pellets, which are thrown at the floor to blind opponents and come with the warning "Don't fall into a pit." This would be a fairly interesting character to have, although they really aren't much use until third level. An alchemist really fits best into a retinue-type campaign, where the character attaches themselves to other PCs at low levels and functions like a magic-user, and pays them back later with potions aplenty. It's also an interesting alternative to have an alchemist running around doing the healbot stuff, since they can create potions of healing at level 3 (3000 XP), rather than a cleric. Spies are the very obvious class here that has a niche somewhere around the assassin and the thief. Indeed, for some kinds of action I would consider a spy to be almost more iconic than the thief or assassin as such. A spy class could be somewhere between a thief and assassin and the LotFP specialist - a jack of all trades, and someone really good at sneaking and finding hidden information. Like thieving and assassination, these are really things that just about anybody could do, but a spy class could really fill a couple of niches well in a dungeon. One is the sneaking and reconnaissance role that thieves often take part in. The other is disguise and infiltration of enemy groups; very useful if there is a bunch of brigands or bandits in the dungeon or wilderness. Sages have an Arnesonian pedigree. It's not immediately clear what one will provide on a dungeon expedition, but in a true exploration game that might not be so irrelevant. If a sage is able to figure out the secrets of the dungeon and get the party to the treasure alive instead of falling to its horrible tricks and traps, he's worth his weight in gold. Particularly if you give a sage class a magic item use capability similar to magic-users for wands, rods, staves and so on (but no actual spells). The rest are a stretch. Engineers could be interesting in a dungeon, but only if the referee is willing to tolerate a very nonstandard approach to exploration - reminding one of the story of digging around the traps in the Tomb of Horrors. Animal Trainer is explicitly limited to one type of animal, which precludes a Beastmaster type of character with all kinds of "pets" that do his work; probably good for those who are squeamish about animal death. Seamen and sea captains, outside a strictly nautical campaign where they'd probably just be fighting-men, are not useful at all. But for these four - alchemist, sage, assassin and spy - I do think there's real potential for highly nonstandard PCs. Especially with the spy, who I think could be a better alternative to the thief if done properly. 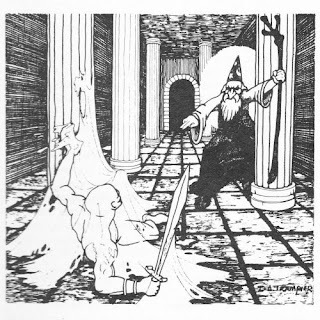 The assassin class was one of the innovations in Supplement II: Blackmoor, and hails more or less (there is some difficulty with who wrote what in the supplement; its editor, Tim Kask, has said that the assassin material was revised) from Dave Arneson's work. There has been ample objection to this class over the years, and it was used in 1e AD&D but excluded from 2e with the concept that an assassin is not a true "class" function. By that measure, a thief shouldn't be either; neither stealing nor killing is a pure class. Similarly, it is pointed out that assassins aren't heroic; again the thief speaks against ideals of pure heroism. Both are breaking major moral and ethical rules as a way to make a living. So none of the arguments against them really wash for me. The assassin character type adds to the game a built-in structure, the Assassins Guild. This lasted into 1e, but was made optional for PC assassins; in Blackmoor they are all guild members, PCs included. It also makes the fascinating observation that assassins are neutral, whereas AD&D stuck them firmly in the "Evil" side of its alignment matrix. That certainly colors your Blackmoorish neutrality and chaos differently, I think, considering that thieves can be neutral or chaotic, and hired by lawfuls. It also works in terms of insulating assassins from either "side" when viewing law vs chaos as a fight with two sides instead of a grand ethical dilemma. Assassins are for hire and don't take sides. An assassin's guild was part of Fritz Leiber's Lankhmar, built into the "Slayer's Brotherhood." 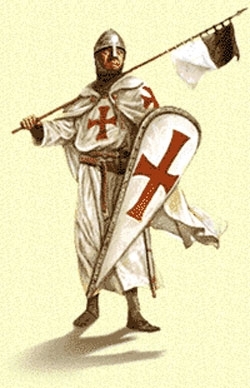 This certainly seems much closer to the concept of the Blackmoor assassin than the somewhat muddled accounts of Islamic killers in various medieval sources. It has little basis in reality, but presents a fantasy setting with a very distinctly grey sense of morals. The mere existence of an assassin's guild means that society, tacitly or openly, accepts its existence. Blackmoor introduced levels that require you to fight a superior, both for monks and assassins. With monks fights aren't necessarily to the death; with assassins they are. A Guildmaster assassin got there by killing his predecessor, period. AD&D added to this the Grandfather of Assassins, a level above that again can only be reached by more murdering. Too many assassins reaching higher levels automatically spells trouble, and a whole high-level campaign could be waged simply around a PC as a Guildmaster Assassin. What is really interesting to me is the question of the assassin in a dungeon crawl campaign. Having an assassin PC seems like an invitation to basically switch over to a city-based campaign. But assassins are low-functioning thieves (2 levels lower than the already paltry thief numbers) per Blackmoor, and will be skilled poisoners as well. Consider - instead of the traditional "hack through the opponents" mission, an assassin PC could really thrive in a "faction dungeon," getting hired (with the available treasure) to take out assassinations on all the leader-types of different monster factions. It really puts the normal dungeon crawl on its head, but I think it's a fascinating possibility, even for solo play. A final tidbit that I think wasn't followed up well enough appears in the Blackmoor assassin write-up: "Details of poison types will be handled in some future supplement when alchemists are fully covered." There's a bit more in the Dungeon Masters Guide, but doesn't really give us that full treatment I would like to see.